A much-changed El Tri side had enough in the tank to avoid an upset against the minnows! CONCACAF champions Mexico were given an almighty scare by minnows New Zealand in their Group A game of the 2017 Confederations Cup at the Fisht Olympic Stadium, with El Tri coming from behind to seal a thrilling 2-1 win on Wednesday night. 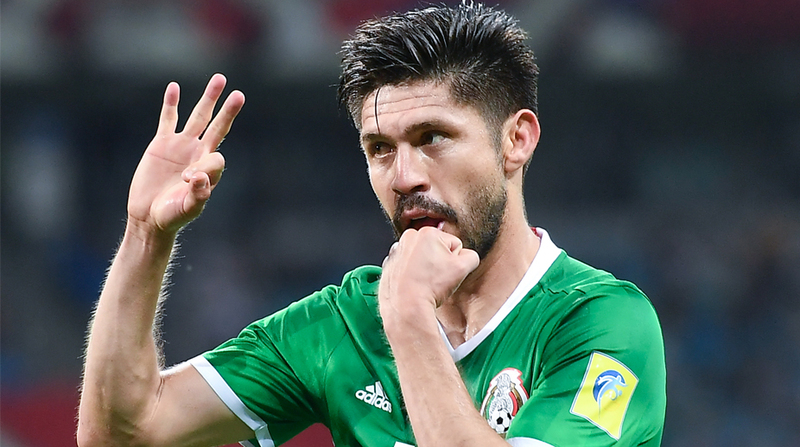 After a 2-2 draw with European heavyweights Portugal had left the group evenly poised, Mexico knew nothing less than a win would do against the Kiwis and despite manager Juan Osorio resting several of his stars, their ‘second string’ had enough to claim three points. Guillermo Ochoa, Javier Hernandez and Carlos Vela were all missing from Osorio’s bold starting XI and when New Zealand captain Chris Wood scored three minutes before half-time, it seemed a stunning upset was on the cards. Mexico winger Giovani Dos Santos was guilty of missing an gilt-edged chance early on, but on the whole, El Tri were extremely profligate in front of goal in the first-half. Osorio made just one change at half-time, deciding to trust his team and whatever he said at the interval must have worked because Mexico came flying out of the blocks and looked to equalise almost immediately. After some good work on the left wing by Javier Acquino, forward Raul Jimenez was given time and space to rifle a shot into the top corner in the 54th minute. The Central American side continue to press forward and their superiority was visible to all but as the New Zealanders looked to hold out, El Tri became bolder in their attacks. Veteran defender Rafael Marquez, the only player in the current side to have also played in the title-winning Mexican team in 1999, came on in the 72nd minute for what might just be his final international cap and the 38-year-old’s presence immediately calmed his teammates. And Acquino’s pace proved to be telling in the end as he sprinted to the byline and cut-back for Oribe Peralta to finish at the near post in the 72nd minute. Portugal had been topping the group momentarily after beating host Russia 1-0 earlier in the day, but Mexico are now ahead of the Iberians, despite having the same goal difference (+1), because they have scored four goals while Portugal have scored three. Russia are third in the group with three points and New Zealand occupy last spot, having lost both their games. Their final group A game is on Saturday, while a draw will be enough to see them through, Russia will be going all out to beat them as they bid to qualify. Portugal will play New Zealand in the other group game at the same time, and the Iberians will go all out to pad their goal difference against the minnows.